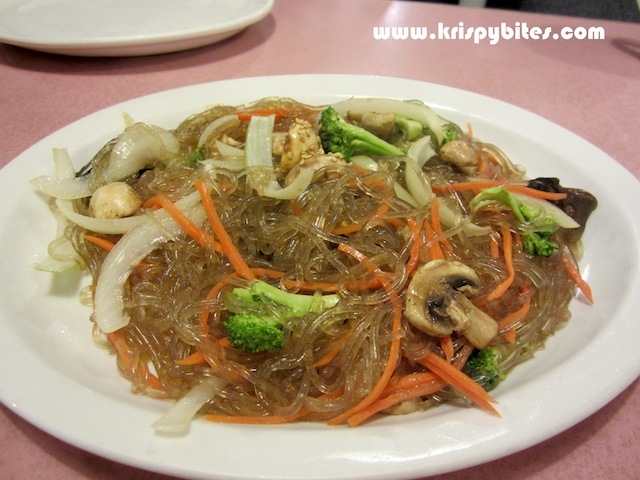 I was at Mill Woods Town Centre and thought I would enjoy a nice dinner at Korean BBQ House just down the street. But once again I made the mistake of ordering the wrong dishes... Yes I definitely should have ordered BBQ at a restaurant called Korean BBQ House, but instead I went for japchae (stir-fried sweet potato noodles) ($11.95) and dukbokki (spicy rice cakes) ($9.95) because I wasn't in the mood for grilled meat. Unfortunately both of these dishes fell short of my expectations. They didn't taste horrible by any means, just too much like a home-cooked meal. The noodles and veggies were bland and seasoning was lacking. The sauce for the rice cakes was extremely spicy for someone like me with a not-very-high tolerance level. 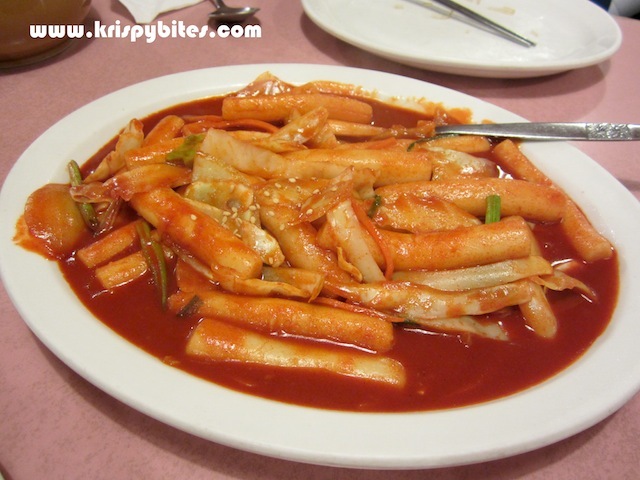 I also found the dish a bit boring since there were only rice cakes and veggies and no fish cakes. All in all, the meal was average at best. The restaurant has a rather high rating on Urbanspoon (89% at the time of writing), so I'm guessing there must be a reason for that. I noticed that most other customers were Korean and ordered mainly BBQ items that looked quite tempting. Next time I'll be sure to order from the BBQ menu too.